Heath B. Nailos, Esq. | Wade Boyette, J.D., LLM. Boyette, Cummins and Nailos, PLLC, has successfully represented clients in Sinkholes, Foreclosure Defense, Bankruptcy, Family Law, Personal Injury, Estate Planning (wills and trusts), and other areas. New: Ford Powershift Transmission Settlement! Boyette, Cummins and Nailos is a leading client-focused law firm representing thousands of clients each year. 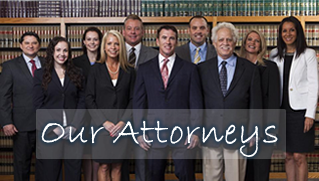 With over 120 years combined legal experience we have helped people in Florida for over 40 years. Our clients have come from Clermont, Leesburg, Orlando, West Orange County and many of the towns and cities in Central Florida. Our experienced team of attorneys handles many types of cases including Personal Injury, Family Law, Divorce, Sinkhole, Foreclosure, Short Sales, Probate, Real Estate and Disability Law. Heath Nailos is a leading Personal Injury Attorney representing our clients’ interests in Clermont, The Villages, Lake County and all of Central Florida. At BCN, we strive to give our clients the very best in legal protection and are committed to defending your rights. Regardless of the circumstances of your personal injury claim, we have one single goal in mind: providing the best personal service. This has always been our guiding principle and will always be our measuring stick in our relationships with our clients. We have seen the impact of a weakened economy on virtually every economic class in Florida. Our Clermont Bankruptcy Attorneys can help with the harassing phone calls and impending lawsuits. For years, we have been protecting our clients’ assets and estates by employing bankruptcy as a viable option. We can help stop the day-to-day harassment from bill collectors with a chapter 7 or chapter 13 bankruptcy. At BCN, we seek to give you options and hope. We are ready to defend you today and give much-needed relief. Every family should have a detailed estate plan in place to distribute assets and grant protection to family members and loved ones who are left behind. Unlike other legal issues, your estate plan is particularly difficult to adjust in the advent of death. You will not be there to oversee any issues that may develop and to ensure that any complications are solved appropriately. When your entire estate and your family’s future is at stake, you need to work with a knowledgeable estate planning attorney to get it right. We have a proven record in helping our clients in matters involving: Residential and Commercial Closings, Landlord and Tenant Issues, Boundary Disputes, and Short Sales. When you want to make sure that all your documents are in order and have a smooth closing than Attorney Wade Boyette will put his many years of Real Estate Law experience to work for you. Social Security Disability was created for people who are in the difficult situation of having a medical condition that has prevented them from working or is expected to prevent them from working for at least 12 months. The application process for receiving Social Security Disability is rigorous, time-consuming, and difficult to get without the right attorney on your side. Whether you need to submit your initial application or have been denied, we can help. We have been helping our clients for many years to attain benefits they have paid into, and the law has rightfully provided for. When you find yourself on the wrong side of the law and feel alone, know that BCN can help. We believe in second chances and will fight to protect you if criminal charges have been filed. 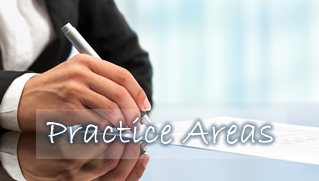 BCN Attorneys have practiced criminal law in Lake County as well as Polk and Highlands County. Contact us today at 855-529-2020 for a confidential consultation! Family law often requires additional care because of the many aspects involved in dissolving marriages, child custody and property division cases. BCN Law Firm knows this, and it’s our goal to make the process as smooth and equitable as possible. While we are not afraid to litigate we always look for options that allow the spouses to agree with as few disputes as possible.